Easily send group mail, newsletters and email campaigns to your customers and subscribers. Easy Mail is a complete, robust, proven, cost effective and professional email sender software that will fulfill all your email marketing needs. It contains all the features you will ever need to easily manage and truly enjoy your email campaigns. There is no limit on the number of recipients, groups or newsletters that you are able to send. A one time investment, just purchase the software once and you can submit and resubmit, grow and manage your email lists as often as you like. Easy Mail Address Books module is able to manage and store your groups of contacts locally or connect to any remote database resident in a web server and use it directly from within the program. For users that already have mailing lists, it means that you can directly send emails to all contacts stored in your databases. Easy Mail's open data structure allows you to customize and target each different mailing group according to you exact needs. Import and/or export your existing mailling lists from/to any standard format such as text, csv and xml files, Word files, Excel files, MS-Access, MS-SQL, My-SQL and many others. Easy Mail comes with professionally designed email templates. Just pick the desired template and start writing your content. It's that easy. 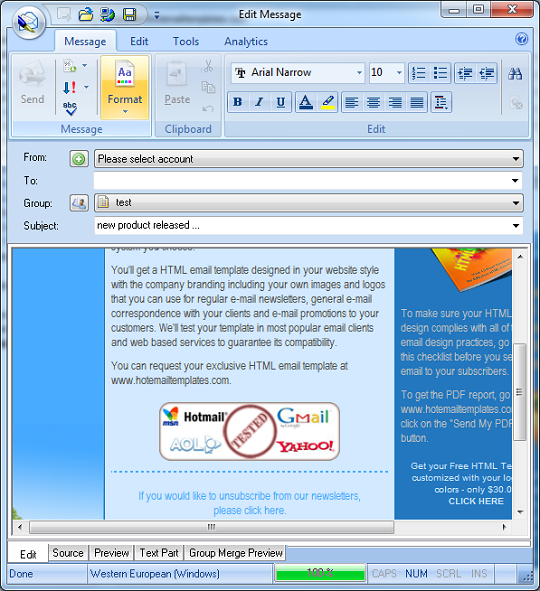 Design your own html messages from within Easy Mail editor or import existing templates and use them for any of your future email campaigns. Send personalized emails to each recipient by inserting any data field into your message. Deliver your message using Easy Mail's direct SMTP mode or using your ISP mail server. Supports the most advanced SMTP protocols including SSL, TLS, Gmail, Hotmail, Yahoo, AOL and even Amazon SES advanced email accounts. Use the Bounced Manager module to process bounced emails automatically. Or use the email campaign scheduler to automatically deliver your messages at the date and time of your choosing. This site does not contain serial number, crack, keygen Myrasoft Easy Mail serial number : serial number is the simplest type of crack. A serial number(cdkey,product key,etc) is register the program as you may already know. a crack or keygen may contain harmful software. If you cannot find the exact version you want, just give it a try. for more information read .nfo/.txt/.diz file include in zipped file.